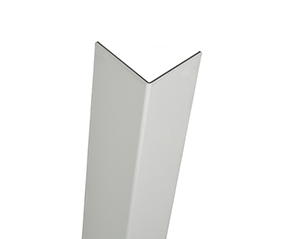 Anodized Aluminum Corner Guards provide a tough, yet light, attractive, and economical way to protect wall corners from damage caused by the light impacts from day-to-day traffic. TheCornerGuardStore uses the highest grade materials. Our aluminum corner guards are available in anodized aluminum or un-anodized aluminum, depending on your needs. Our Anodized aluminum corner guards are made from Type 5005 with a beautiful smooth satin finish. Choose from our standard 90º angle and .5", .75", 1", 1 1/2", 2", 3", 3-1/2", 4" and 4 1/2" sides. Other grades, finishes, and sizes are available for custom order.